Over recent years, mobile phones have become increasingly sophisticated and have been transformed from simple devices to make or receive calls into all-singing, all-dancing gadgets that come with a sometimes bewildering array of features. When people choose a handset these days, it is not just the appearance of the phone they look at but also features such as the camera and social networking and music capabilities. When it comes to music, there are a number of handsets that are perfect for those who love nothing more than listening to their favourite tunes wherever they are. Whether you want to view pay monthly phones or SIM-free handsets, you will be able to find a great selection with enhanced music features. This nifty handset comes with the superb quality and stylish design that Samsung has become known for. You can choose from black or white casing and a range of features. The Group Play feature on the handset makes this ideal for those who want to share their music as well as their photos. It also comes with a 4.3 inch full HD SUPER AMOLED screen for watching music videos as well as a high-quality 8-megapixel camera. When you choose this popular Nokia handset, you will be able to enjoy the benefits of a sleek, chic, high-quality handset. For music lovers, the handset is a great choice as it offers a number of music-related features. The built-in Dolby Sound means that you can look forward to crystal clarity when it comes to listening to your music. In addition, you also get access to 5 free offline Nokia Music playlists with Mix Radio. 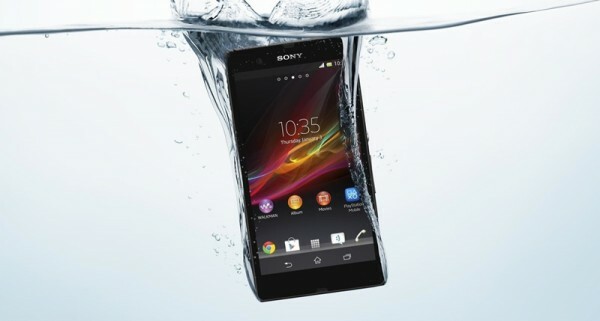 Sony is known for its production of high-quality audio equipment, and this is reflected in its stylish Xperia Z handset. With the Sony Entertainment Network, you can look forward to accessing a huge range of songs and artists for your listening pleasure. The high-quality headset is designed to further enhance your experience. The handset comes with impressive equalizers and the XLoud speakers for the perfect sound. If you want to opt for the full-size Samsung Galaxy S4, you can look forward to a musical treat. In addition to the Group Play function, you will also be able to access a huge range of music from the Samsung Music Hub. You can stream music from multiple handsets at the same time and you will not be disappointed from the crystal clarity that comes with the high-quality speakers. A long battery life also ensures that you won’t run out of juice while enjoying your music. All of these handsets are ideal for those who want a phone with excellent music capabilities. In order to determine the most suitable one, you should also take other factors into consideration, such as the size of the handset, additional features and the monthly cost.